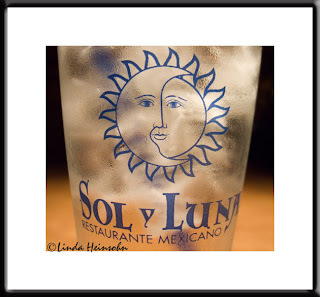 The water glass at Sol Y Luna. I've been wanting to go to this restaurant for a long time. During the house fumigation, I'm staying about five blocks from it on Ventura Blvd.